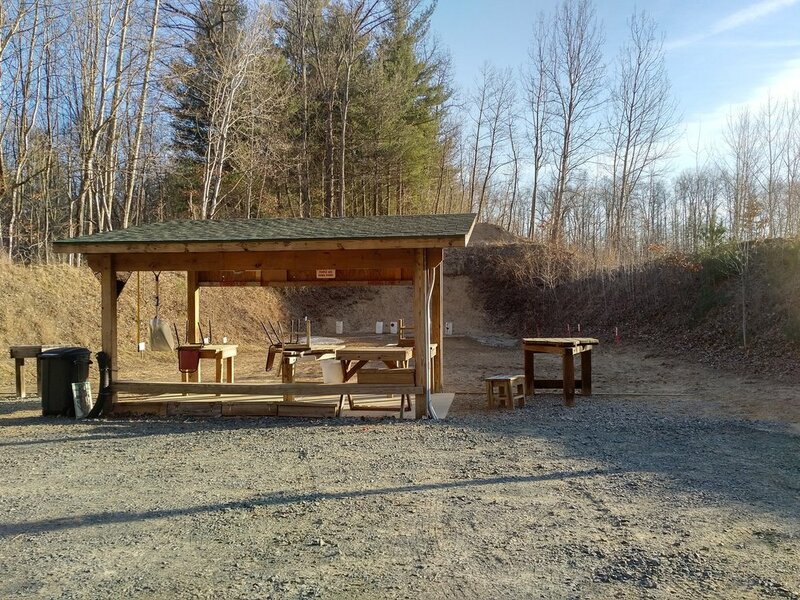 Notice: The minimum shooting distance at the plinking range is 17 yards, shooting at ANY target closer than 17 yards is NOT permitted. The plinking range is an outdoor range where you can set out targets of plastic bottles, tin cans, ice cubes, wood, etc. We have provided plastic drums to set items on or for you to paste paper targets to. Any target must be placed beyond the 17 yard line. Most all types of firearms and bows can be used on this range. It is the only range where rifles are permitted to shoot at targets as close as 17 yards. For your convenience, markers have been posted on the side of the range, indicating where the 17, 25 and 30 yard distances are. See "Plinking Range Rules" below for important details. Please shoot safely and have fun!